Hi there fashion addicts! We are here to show you some of the best ways of wearing your fall scarves this year. This is your ultimate Fall fashion accessory guide! In today’s post we are going to see fabulous ideas how you can wrap up in style with this Autumn cozy scarves. The trick is following: you can wear it with almost everything, all you have to do is to choose an appropriate color, so your outfit looks complete. That’s it! Of course, there are endless choices to choose from, I mean, you can go for silk made scarves, chunky knit designs, bold colored, graphic printed, pastel hued, etc. 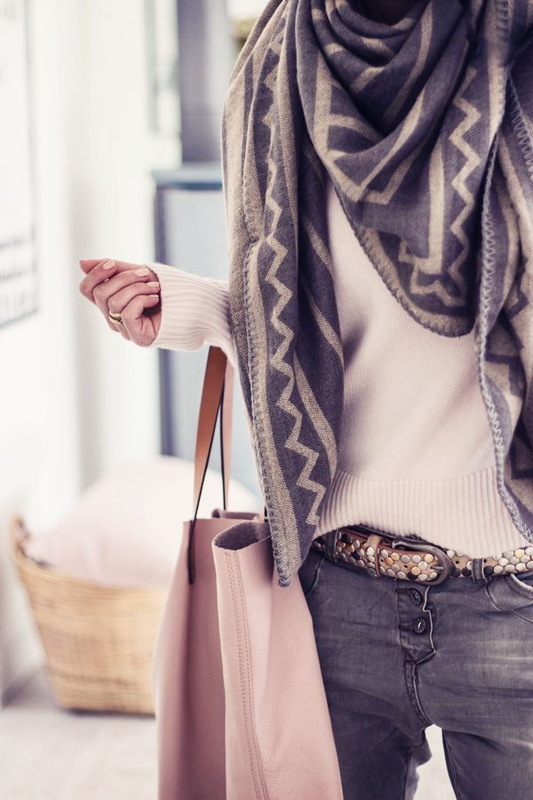 As the weather gets colder, we want wrap our necks in warm knits, that’s why we love scarves. Personally, I like trendy blanket-styles, as they jazz up any winter outfit. Plus, once you try on scarf, it becomes the main focus of my outfit. I am so in love with big coats completed with huge scarves. Speaking of sizes, this year is all about oversized accessories. Yes, I am a big fan of oversized scarves. Anyway, let’s scroll down and find some of the best ideas to use this Fall.